Built by Realtors for Realtors | SignPost Install Inc.
No one except a Realtor® can explain how wonderful and unique clients can be. Some buyer’s want you to be a taxi service at times while seller can’t quite understand why their Viking appliances don’t make their home worth $100k more than the same home right next to them that sold last week. If you have listened to your broker, been on any blog that talks about listing homes or read some of the top selling books on listing real estate you know the following. Every listing should generate you two additional clients. Your sign panel calls are a key component to that. Understanding the pressures and requirements to succeed as a Realtor® is a key to why even a service seemingly as ‘simple’ as a signpost install company requires people that really understand what is needed. We must provide exceptional service on every single installation, every time. 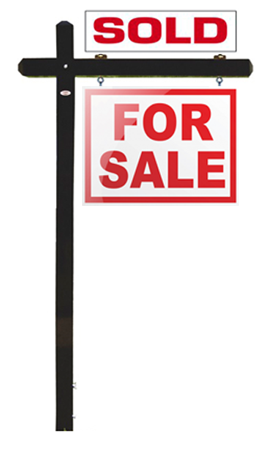 Your ability to sell the home and grow your business actually depends on your sign in the yard. Have you had a sign post company tell you that you don’t need to call Miss Utility on an estate post installation and you loved it. Why did you love hearing that? Honestly because you need it in the ground ASAP and waiting might make you look bad. But that is like a client asking you to sign a form for them because they are too busy. Trust me if something catastrophic happens in the contract the client just might hang you to save themselves. Miss Utility is the same, we won’t risk exposing you, your client or your brokerage to fines or litigation. Most every Realtor® that we speak with asks why every company doesn’t provide the options that we do. There really are some great companies out there. We don’t need to be #1 in all of the lands. We just want to be #1 for you! We think our competition just don’t truly understand Realtors and what you need. Quite frankly we think they are set in their ways and resting on a service created for your parents or the ’80’s and most definitely not for today! Let’s face it, if we are there to install your post why can’t we stock and install your riders, or lockbox? We are Realtors® that finally got tired of paying money for an install but still needing to run back out to install a sign rider or our panel, even a lockbox. So we started Sign Post Install Inc. and began asking even bigger questions. What else can we do while we are there that would save you the Realtor® time, money and gas? So here we are and trust us we have some great new services coming along all of the time for you.